All rights reserved. Text, images, graphics, sounds, and animations, as well as their arrangement on this web site, are subject to copyright protection and other protective laws. The content of this web site may not be copied, distributed, altered or made accessible to third parties for commercial purposes. The information in this website has been carefully researched and diligently compiled. Nevertheless, Wentrup GmbH does not accept any liability or give any guarantee for the validity, accuracy and completeness of the information provided. 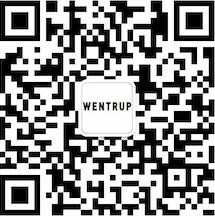 Wentrup GmbH assumes no legal liabilities for damages, material or immaterial in kind, caused by the use or non-use of provided information or the use of erroneous or incomplete information, with the exception of proven intentional or grossly negligent conduct on the side of Wentrup GmbH.